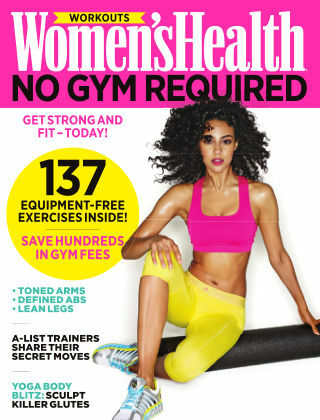 With Readly you can read Women’s Health No Gym Required and thousands of other magazines on your tablet and smartphone. Get access to all with just one subscription. New releases and back issues – all included. Dumbbells – who needs them? These equipment-free workouts will help you shape a perfect physique, using nothing other than your body weight to hone and tone your muscles. From warming up properly to building a perfectly balanced frame, you can work out where you like: from home, at the park or in your hotel room.